Metroid Prime and gender norms in the first person - Pioneer Project - Enjoying video games a little differently. I’ve spent some this month trying to get acquainted with a game that I should have played years ago. It’s been on my to play list for years. The idea that ultimately got me to the title screen was the idea of playing game that’s both combat driven with a strong narrative core, crucially it’s also a game that features a strong female character as its lead – and does so using the first person. It’s extremely common for a game to feature the first point, it’s normal for a game to consider the second. A game that features both those as well as the third is still sadly rarer than I’d like. 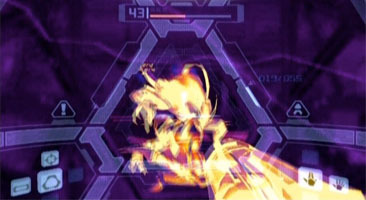 The game of course is Metroid Prime. I’ve arrived extremely late to the Metroid series, but what is immediately apparent is Samus Aran such a compelling hero because she is associated with a quiet power, a resolve and tenacity to get a job done. Her brilliant portrayal in the Metroid series over the years (Other M excluded) remarks that her success and strength comes from her skill and experience rather than pre-defined expectations of her character or ability based on her gender. Being able to play as a female character in any character driven game is always important to me. It aids the process of me getting into the mindset of the game in a way that being forced to play as a male character simply doesn’t enable. It’s rarer to get this level of comfort when starting a game, I am so used to a male character model being the default in an adventure or FPS game such as this that when the opportunity presents itself, I find myself playing with a sense of elation that wouldn’t be there otherwise. This may seem particularly strange, especially given the fact that the game is in a first person view. I am spending most of the game looking and experiencing the world through Samus’ visor, seeing the world as she would, with only fleeting glances of her suit and face. But the idea of being playing a great game, especially one where I am able to play in the “right body” is sublime and is important to me. I suspect that such is the power of Samus’ persona that few would feel uncomfortable playing as her. That said how many first person based games are there where you can play as a woman? Despite the rising popularity of the first person view, a female character model (especially for single player mode) is still not particularly common. It’s just as well that I have Samus as a guide through Metroid Prime. The game is uncompromisingly difficult at times. I often find myself playing at a level far beyond my comfort zone, as the game stretches and challenges me to be worthy of Samus’ equally uncompromising skill. I simply wouldn’t have persevered for a character I related to and admired half as much. If I ever need a reminder that I’m playing a game that challenges the norm of this genre I see a flash of Samus’s face every time a missile explodes too close to her, daring me to continue. After long thought, the only other recent examples of story driven games in the first person perspective I can think of (with female protagonists) are Portal and Mirror’s Edge. Both of these games (along with Metroid Prime actually) are not first person shooter games. Two of them are first person adventures, with the third being a first person puzzle game. While I find it impressive that I can think of three games that circumvent the gender and gameplay norms of the first person view in such a way, I am still saddened that very few true FPS games continue to ignore their female player base, providing male character models exclusively. Epic games didn’t include the option of female characters in multiplayer until its third iteration of the Gears of War series. Bungie finally provided the option in Halo Reach (but only after making elites playable first in Halo 2). The ability to play as a woman is still missing from the genres two most popular series – Call of Duty and Battlefield. The only series I can take any long-term pride in is Rainbow Six: Vegas, which has always given me ultimate level of character creation (in its multiplayer) and has done so from the very beginning. Regardless of genre, women have the undeniable need to be able to experience a game in a model matching their gender, particularly if the game is about customisation and bespoke player rewards based on skill. 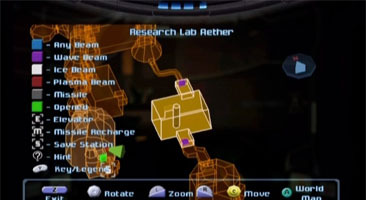 Metroid Prime has helped to remind me of this fact, and not only that, it’s made me want this option in even more games. You hit the nail on the head there. Male characters are in such abundance that it’s practically an event when a game stars a female lead (and even moreso to find one that’s actually handled well). It makes these less common games all the more appealing as “something different”. I remember being interested in Xenosaga Episode 1 partially because it was an RPG that, instead of starring a warrior dude with a sword, had a super intelligent female scientist as a main character along with her incredibly powerful (also female) android. Especially in a genre as trope-filled as RPGs, it really stood out to me. 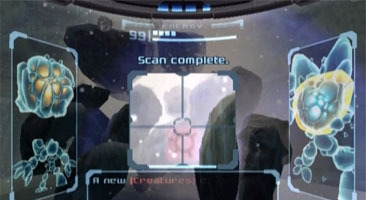 Back on Metroid Prime… I’m glad you brought up the face reflections in the visor. It’s a little touch, but I love it. Aside from really helping to immerse you (along with the visor HUD itself), it’s also a much more tasteful way of reminding you you’re playing as a woman than Super Metroid’s armor explosion death animation (which never felt too bad to me, but is certainly less dignified). More choices for everyone please! Unfortunately, the vast majority of the time in video games, we get to see women placed in prominent roles largely for marketing/demography reasons (more boys than girls play video games, most boys like girls, put girls in video games to sell more games). This has been changing over time, slowly, and I hope that eventually we’ll see a more even spilt of choices for everyone. 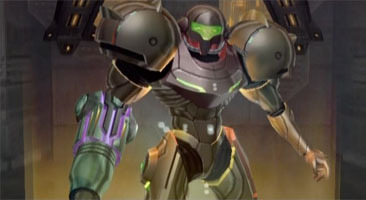 There are scant few examples of female leads in games that are portrayed in the same manner as their male counterparts, Samus is one of those few. In the realm of newish games: Borderlands 2 will, eventually, feature two out of five playable characters as female, the first game had just the one. The Elder Scrolls (and many RPGs in general, in fact) are pretty good about offering gender options, interesting how that genre caters to that issue more than many others do. As a quick side note; Bungie did actually give the option to have a female voice in the Halo 3 multiplayer (http://www.bungie.net/News/content.aspx?cid=9170), it’s not quite the same of course, there was no visual differentiator between males and females. It’s just sad to see this gradual, general, shift towards equality take so looooong. Haven’t been here in a while, glad to see so many articles to read, and gender, one of my favorite topics in games to boot! As I am currently playing borderlands 2, I have to say that the female characters are handled pretty well in the series, playable or otherwise. Besides Mad Moxxi, who is still a really cool character(especially from a character artist’s perspective) despite the blatant sexuality. With the mechromancer dlc coming up, thats 3/9 characters that are able to be played as. Usually women don’t make up that much of the choice spectrum, let alone be so interesting and empoweringly strong.